BRICS High Level Meeting on Traditional Medicinal Knowledge on 16 December 2016 in New Delhi. 6th Meeting of BRICS Health Ministers on 15-16 December 2016 in New Delhi. 1st Meeting of Working Group on Exploring the Feasibility of Establishing Alternate Rating Agencies for Emerging Markets on 7 December 2016 in Mumbai. Meeting of BRICS Heads of Revenue and Experts on Tax Matters on 5-6 December 2016 in Mumbai. 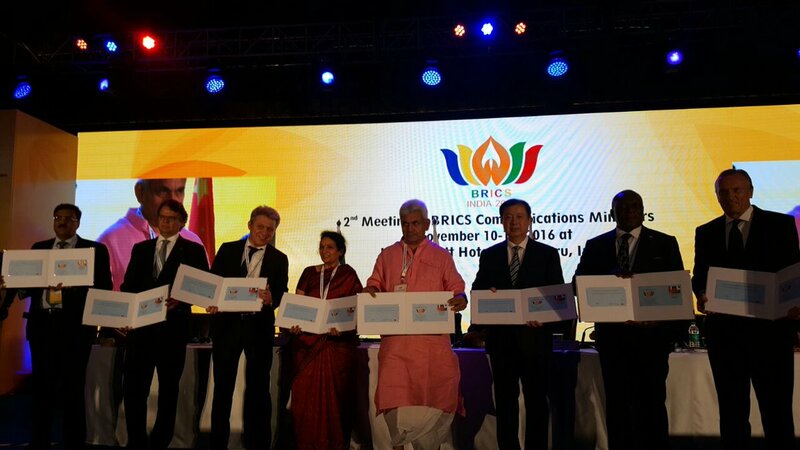 2nd Meeting of BRICS Communication Ministers on 10-11 November 2016 in Bengaluru. 1st Meeting of BRICS Working Group on ICTs Cooperation on 10 November 2016 in Bengaluru. BRICS Anti-Corruption Cooperation Meeting on 17 October 2016 in Paris. Meeting of Heads of BRICS Customs Administration on 15-16 October in Goa. BRICS Business Council Meeting on 14-15 October 2016 in New Delhi/Goa. 2nd Meeting of BRICS Working Group on Co-Financing in Local Currency on 14 October 2016 in Goa. 6th Meeting of BRICS Trade Ministers on 13 October 2016 in New Delhi. BRICS Business Forum on 13 October in New Delhi. 1st BRICS Trade Fair on 12-14 October 2016 in New Delhi. 4th BRICS Science, Technology & Innovation Ministers on 8 October 2016 in Jaipur. 6th BRICS Science, Technology & Innovation Senior Officials’ Meeting on 7 October 2016 in Jaipur. BRICS Civil Forum on 3-4 October 2016 in New Delhi. 4th Meeting of BRICS Education Ministers on 30 September 2016 in New Delhi. 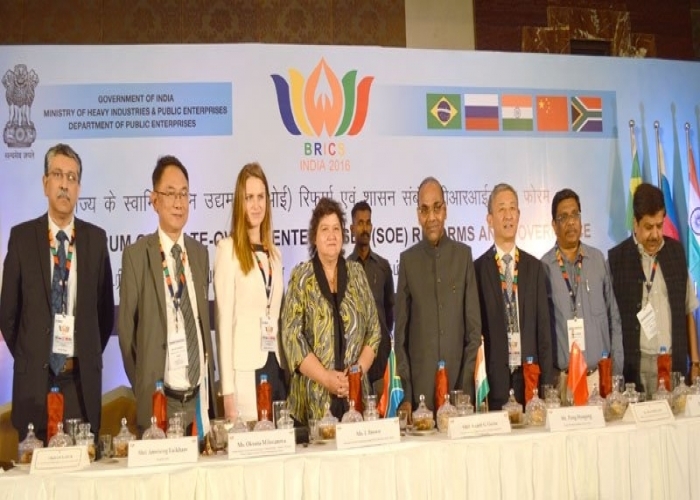 4th BRICS Senior Officials’ Meeting on Education on 29 September 2016 in New Delhi. 2nd Meeting of BRICS Labour and Employment Ministers on 27-28 September 2016 in New Delhi. 1st BRICS Young Scientist Conclave on 26-30 September 2016 in Bengaluru. 6th Meeting of BRICS Agriculture and Agrarian Development Ministers on 23 September 2016 in New Delhi. 2nd Meeting of Agricultural Experts on 21 September 2016 in New Delhi. 8th BRICS Academic Forum and Think Tank Council on 19-23 September 2016 in Goa/Delhi. 6th Meeting of BRICS High Representatives Responsible for National Security on 15 September 2016 in New Delhi. 3rd BRICS Urbanisation Forum on 14-16 September 2016 in Visakhapatnam. 1st Meeting of BRICS Joint Working Group on Counter Terrorism on 14 September 2016 in New Delhi. 2nd BRICS Young Diplomats’ Forum on 3-6 September 2016 in Kolkata. BRICS Convention on Tourism on 1-2 September 2016 in Khajuraho. 2nd Meeting of the BRICS Ministers for Disaster Management on 22-23 August 2016 in Udaipur. 2nd BRICS Sherpas and Sous-Sherpas Meeting on 5-6 August 2016 in Bhopal. 2nd Meeting of BRICS Technical Working Group on Inter Bank Cooperation on 29 July 2016 in Mumbai. 2nd Round Table on MSMEs and Seminar on Services on 28 July 2016 in Agra. 1st Meeting of BRICS Employment Working Group (EWG) on 27-28 July 2016 in Hyderabad. 2nd BRICS Policy Planning Dialogue on 25-26 July 2016 in Patna. 1st Annual Meeting of Board of Governors of New Development Bank (NDB) on 20-21 July 2016 in Shanghai. 2nd Meeting of BRICS Railway Experts on 14-15 July 2016 in Secunderabad. 1st Forum of BRICS Network University on 6-8 April 2016 in Yekaterinburg, Russia. 6th Informal meeting of BRICS Finance Officials on the margins of FATF on 16 February 2016 in Paris. 6th Meeting of Heads of Intellectual Property Offices (HIPO) on 20-22 June 2016 in Moscow. 7th Informal Meeting of BRICS Finance Officials on the margins of FATF on 21 June 2016 in Busan. BRICS Agriculture Cooperation Working Group Meeting on 22 September 2016 in New Delhi. BRICS Conference on International Arbitration on 27 August 2016 in New Delhi. BRICS Film Festival 2-6 September 2016 in New Delhi. BRICS Financial Forum on 15 October 2016 in Goa. BRICS Handicraft Artisans Exchange Programme on 6-15 September 2016 in Jaipur. BRICS Leaders’ Informal Meeting on the margins of G20 Summit on 4 September 2016 in Hangzhou, China. BRICS Parliamentarians Forum on 23 October 2016 in Geneva. BRICS Seminar on Best Practices in PPPs and Long Term Infrastructure Financing on 22 September 2016 in New Delhi. BRICS Digital Conclave on 28 to 29 April 2016 in New Delhi. BRICS Seminar on Investment Flows on 13 October 2016 in Mumbai. BRICS Seminar on Non-Tariff Measures (NTMs) and Services on 11 April 2016 in New Delhi. BRICS Sherpas and Sous-Sherpas mid-term meeting on 29-30 April 2016 in Jaipur. BRICS Smart Cities Conference on 17-19 August 2016 in Jaipur. BRICS Sous-Sherpas Meeting on the margins of G-20 Summit on 2-3 September 2016 in Hangzhou. BRICS Technical Group Meeting of Interbank Co operation Mechanism on 10 to 11 March 2016 in Udaipur. 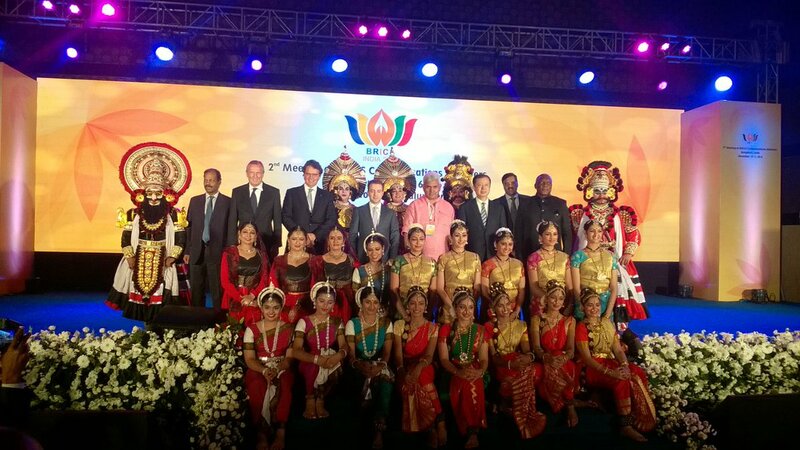 BRICS Wellness Forum on 10-11 September 2016 in Bengaluru. 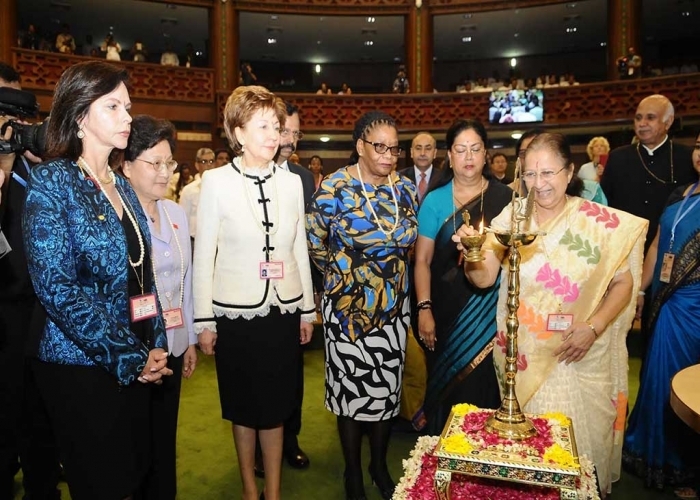 BRICS Women Parliamentarians' Forum on 20-21 August 2016 in Jaipur. BRICS Workshop on Access to Medicines and Trade Agreements on 23 May 2016 in Geneva. BRICS Workshop on Financial Inclusion on 19 September 2016 in Mumbai. BRICS Workshop on Skill Development on 25-28 July 2016 in Mumbai. BRICS Workshop on Strengthening Health Surveillance on 1-2 August 2016 in Bengaluru. BRICS Workshop on Trade Finance 14 October 2016 in Goa. BRICS Youth Summit on 1-3 July 2016 in Guwahati. Experts Meeting for Establishing BRICS Railway Research Centre on 29 April 2016 in Lucknow. Experts’ Meeting on BRICS Agriculture Research Centre on 27-28 June 2016 in New Delhi. Governing Council Meeting of BRICS Contingent Reserve Arrangement on 6 October 2016 in Washington. Meeting of BRICS Competition Authorities on 19 May 2016 in St. Petersburg, Russia. 12th Meeting of BRICS Contact Group on Economic and Trade Issues (CGETI) on 29 July 2016 in Agra. 11th Meeting of BRICS Contact Group on Economic and Trade Issues on 12 April 2016 in New Delhi. Meeting of BRICS Custom Administrations on 14 July 2016 in Brussels. Meeting of BRICS Development Banks with New Development Banks on 15-16 October 2016 in Goa. Meeting of BRICS Development Partnership Administrators (DPAs) on 6-7 August 2016 in New Delhi. Meeting of BRICS Environment Ministers on 16 September 2016 in Goa. 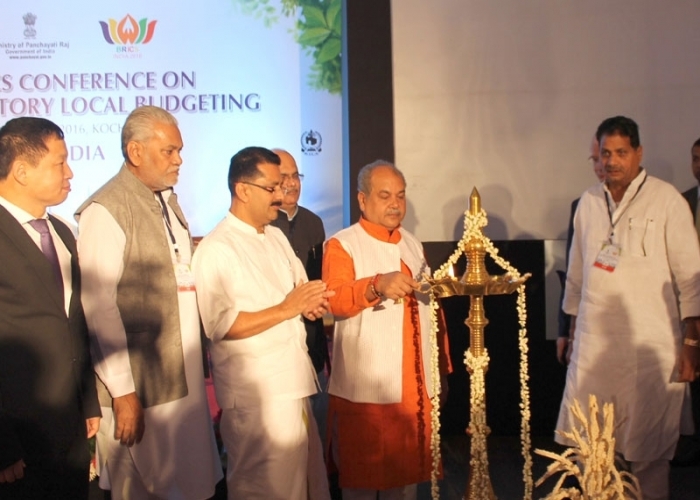 Meeting of BRICS Finance Ministers and Central Bank Governors on 14 October 2016 in Goa. Meeting of BRICS Friendship Cities Conclave on 14 to 16 April 2016 in Mumbai. Meeting of BRICS Heads of Anti-Drug Agencies on 8 July 2016 in New Delhi. Meeting of BRICS Heads of Export Credit Agencies on 13 October 2016 in New Delhi. Meeting of BRICS Health Ministers and Heads of Delegation, on 24 May 2016 in Geneva. Meeting of BRICS Inter Bank Cooperation Mechanism on 15 October 2016 in Goa. Meeting of BRICS Ministers of Labour & Employment on 9 June 2016 in Geneva. Meeting of BRICS Senior Officials for Anti-Corruption Cooperation on 8 June 2016 in London. Meeting of BRICS Senior Officials on Anti-Corruption on 16 March 2016 in Paris. Meeting of BRICS Working Group on Energy Saving and Energy Efficiency on 4-5 July 2016 in Vishakhapatnam. Meeting of BRICS Working Group on Geospatial Technologies on 2 March 2016 at Greater Noida. Meeting of Heads of BRICS Supreme Audit Institutions on 24 June 2016 in Beijing. Meetings of BRICS Finance Ministers and Central Bank Governors on 14 April 2016 in Washington. 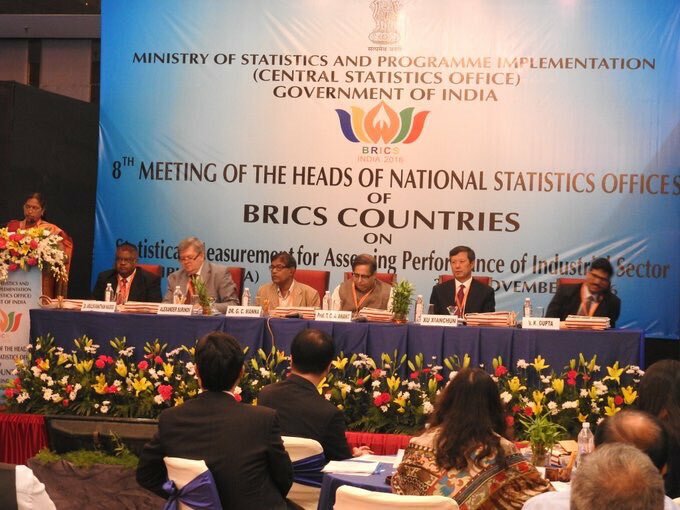 Technical Meeting of BRICS Statistical Authorities on 24-26 February 2016 in New Delhi. Welcome Meeting of BRICS Youth Delegation with Minister of External Affairs on 30 June 2016 in New Delhi. BRICS Forum on State Owned Enterprises Reforms and Governance on 18-19 November 2016 in Chennai. Meetings of BRICS Working Group on Telecommunications on 10 November 2016 in Bengaluru. 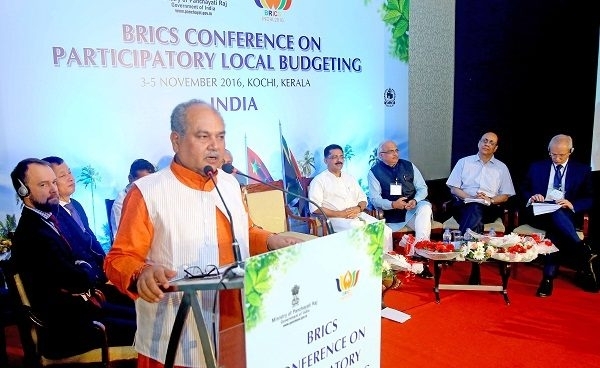 BRICS Local Bodies' Conference (with focus on Budgeting) on 3-5 November 2016 in Kochi. Meeting of the BRICS Heads of National Statistical Agencies on 3 and 4 November 2016 in Jaipur.